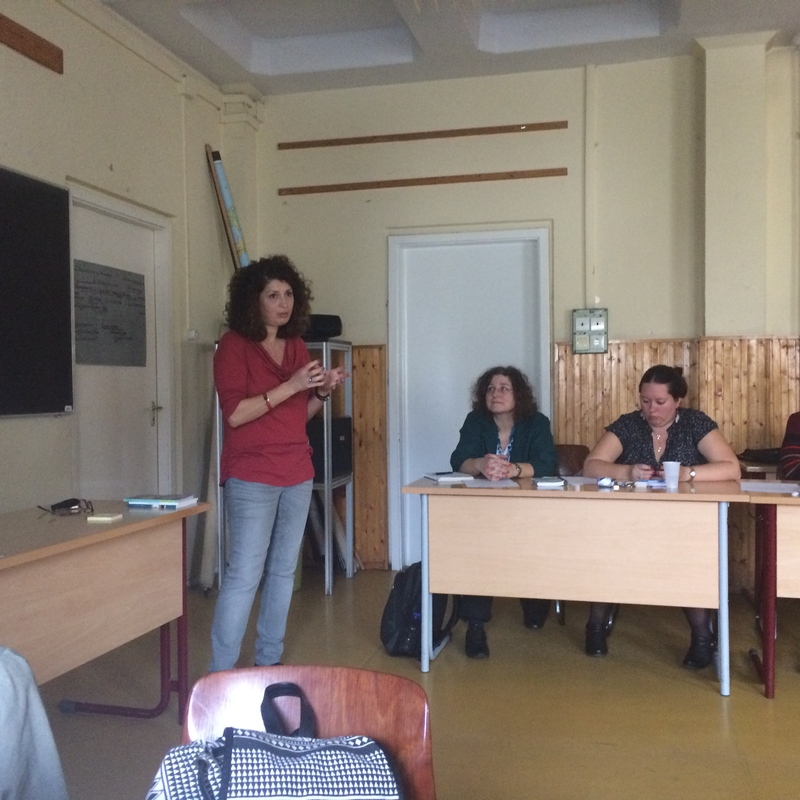 Local educators hosted an ITeach seminar about teaching with testimony at Berzsenyi High School, a USC Shoah Foundation partner school in Hungary, on Saturday, Nov. 8. With this latest seminar, Hungary has now hosted 14 ITeach seminars in 2014 alone. ITeach seminars are one-day programs for local educators to introduce them to USC Shoah Foundation, the Visual History Archive, IWitness, and basic theory and methodology of teaching with testimony. They are led by USC Shoah Foundation liaisons with contributions by local educators who have participated in USC Shoah Foundation’s professional development programs including Teaching with Testimony in the 21st Century. 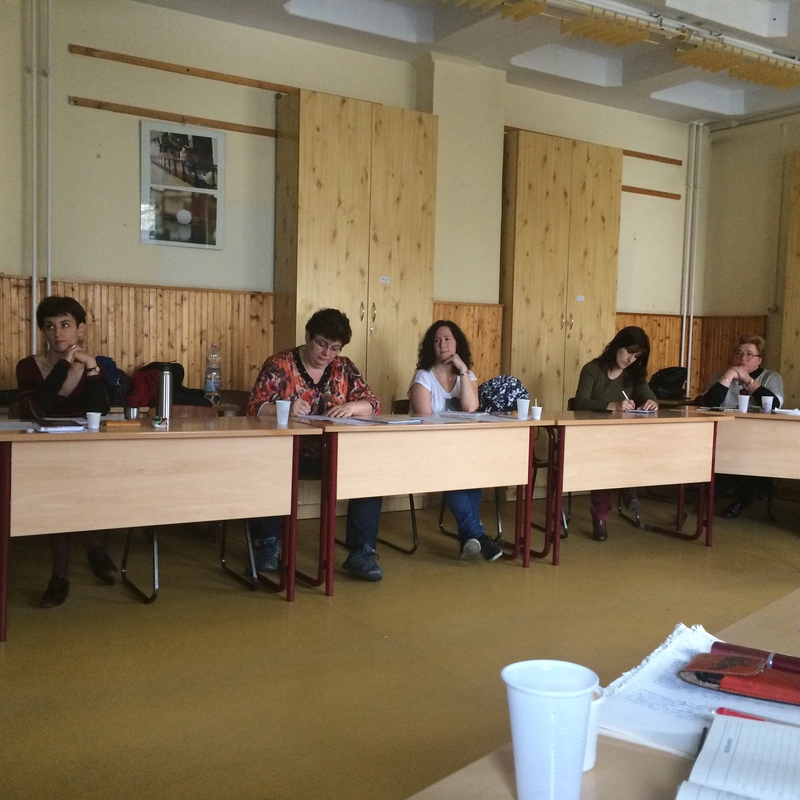 Saturday’s session was led by USC Shoah Foundation international training consultant Andrea Szönyi; Aletta Forrás-Biró, who teaches a course on video testimony at ELTE University; and Dr. Monika Mezei, a Teaching with Testimony graduate. 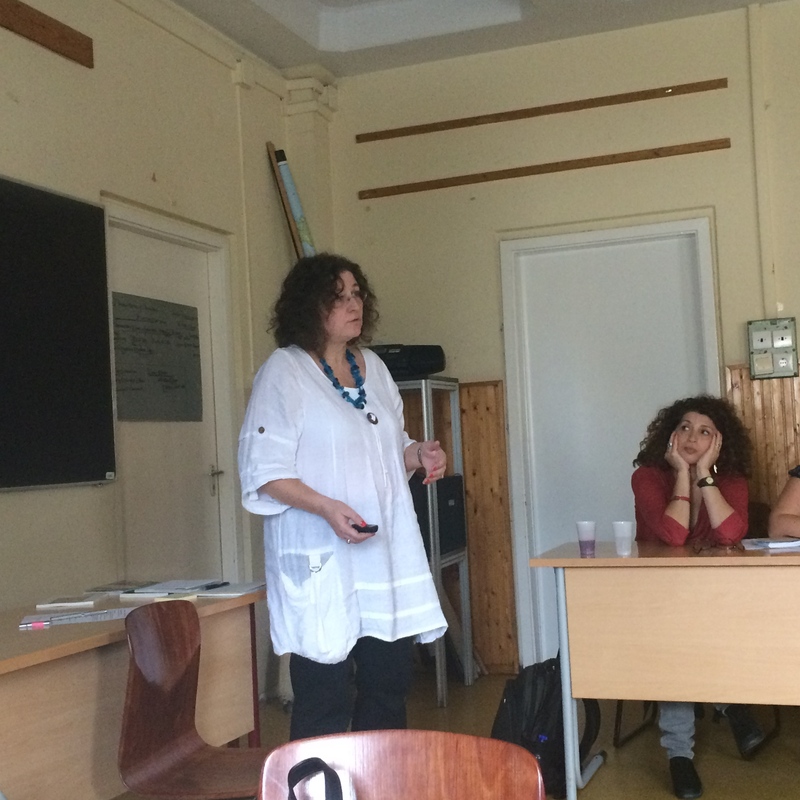 At Berzsenyi High School, where the seminar was held, another teacher, Monika Mészáros, is in the current Teaching with Testimony 2014 program. Szönyi said nearly 50 teachers signed up for 20 spots, so another session on Nov. 29 was added to accommodate all the participants. The participants on Saturday came from Budapest, rural cities such as Debrecen and Miskolc, and even across the border from Oradea, Romania. They represented disciplines including Hungarian literature, history, English as a foreign language, German as a foreign language, mathematics, information technology and art. The agenda contained a general introduction to the USC Shoah Foundation and using testimonies in education, social psychological considerations regarding prejudices and stereotyping and how these topics can be dealt with in school using testimonies, constructivist theory, sample lessons and an introduction to IWitness. Mezei introduced the lesson she developed through Teaching with Testimony and additional testimony-based lessons she has developed since she graduated from the program. Szönyi and Forrás-Biró also introduced a new lesson called Where is Home for You? which addresses anti-Semitism, and the new IWitness Mini Quest activity Arrival at Auschwitz. The activity will also be translated to Hungarian, making it the first Hungarian-language activity in IWitness. Participants provided feedback at the end of the day and expressed interest in the topics and skills they had learned. One said that she now saw IWitness as a “treasure,” and another said “I received great ideas how I can successfully target ignorance." As a USC Shoah Foundation partner school, Berzsenyi Daniel High School introduces its teachers to methods of teaching with testimony and USC Shoah Foundation’s latest educational resources, and organizes local and regional trainings (ITeach) for educators.